Now, this post is entirely dedicated to the one most funky, sassy and fun loving community, the Latin People or “the Latinos” spreading across the whole globe. Internet & Social Media is the leading way to connect, share, and interact with people of same interests and welfares but it always lacks in some points regarding the user experiences. So, to eliminate all the troubles and to connect all the Latinos around the globe, a company is providing various solutions and app platforms. The application is exclusively available on Android and iOS platforms and offers the users to share all the exotic knowledge and content with other Latin users in the form of questions and answers. 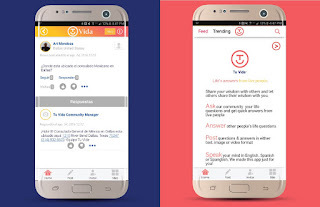 So, let’s start the review of one such fantastic app called Tu Vida and why it is recommended to everyone out there. The name of app “Tu Vida” simply means Your Life and so is the ideology behind the application. You can now directly relate that what kind of the services does the app offers. In other simple words, it is the better version of Quora and that too for Latin People. The app is provided by an App Developer company who is aimed to provide revolutionary technology solutions for the Latin Community. The company is but obvious, run by the Latinos and they are contributing every bit to make the community more pleasant. With many features like, Live Video Telecast, ask questions related to every topic and share common interests with other fellow denizens. So, let’s get started with all the installation and the setup stuff. Tu Vida is free to download, and you can install it easily on your Android Smartphone and iPhone directly from the Play Store and the App Store respectively. Download it for Android Smartphones. Download it for iOS Devices. Within few seconds and clicks in the app the installation process would be done, all you need is to create a profile and you are ready to Rock! You would be able to ask queries, post stories related to any topic, and any user can answer with its knowledge and wisdom filled content. Moreover, there are many other marvelous features that Tu Vida packs. Being in the BETA stage, the company is regularly offering many more amazing features as its growing. So you can expect more additional features and enhancements in the coming stage. Live Stream Video On Demand: – Yep! The app offers you to go Live on Demand anytime. So, you can share any relevant content, life experience or any other necessary information directly to your fellow Latinos. The features in two ways – live and on demand. Tu Vida has a simple and a fast video streaming technology so that you won’t face any issue with standard internet connection. Aclamaciones! 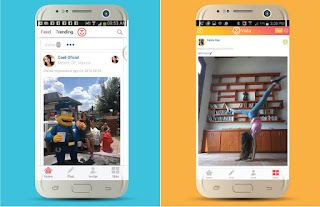 Advanced Social Feeds: – Hola Amigos! Well, this app will explore and connect with your friends and family. The app seamlessly integrates with other social media apps and platforms. So, you can view their social feeds and timeline of your dearest ones, or you can post yours as well. Moreover, you can post in Spanish, English, or even the Slangs; it’s up to you. Content Trimmed: – Suppose, if you’re living away and want a glimpse of what’s going on in the community, then Tu Vida is always here to help. Read and explore content by your favorite music, occasions, interests, events and what not! The list never ends, and you can easily streamline your feeds with only the curious things. Get Alerted about Upcoming Events: – Lasts but not the least, the app also sorts hundreds of upcoming events and gathering from various resources. This feature works by your current location. So whenever you feel the Jazz Mojo, check out for any related developments on the go. The app also features relevant alerts from social media too. It is all added so you can interact and indulge more to the community by embracing the information and contributing your bit towards it. So, this was my take on the upcoming community platform app, Tu Vida. Exclusively crafted for Latinos, the app has an amazing eco-system and a user base of thousands of Latin People all around the globe. You can download the app for Android as well for iOS are absolutely free. You can check for information regarding the app on its official website. Please do comment if you’re already using this app or if you want to try this. Ask various questions and share different knowledge and experiences with other users as well. Do let me know what you think about this application and suggest for any query or thought regarding the app. Cheers! This is a sponsored post by Tu Vida.